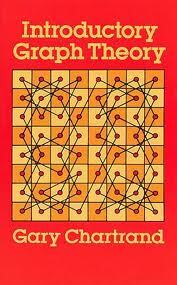 This book is a charming, breezy intro to graph theory, covering basic terminology and some theorems related to planar graphs, topology, map-coloring, matching, and optimization. I was a course shy of minoring in math in college, and I've taken a handful of courses over subsequent 10 years, so I'm far from a math whiz. But I found nearly every proof and problem accessible, sometimes requiring some effort, but never insurmountably hard. The book promises to be introductory, and I have now been introduced—the next time I run into a stumper while I'm building software, I feel I have a far better chance of recognizing it as a known problem with a standard solution. Highly recommended.